When we were researching tandem bicycles, a lot of resources pointed in the direction of Co-Motion. This is for good reason, these guys know tandems better than almost anybody! Co-Motion are everything from organised tandem events, to being at the forefront of tandem frame and parts design. 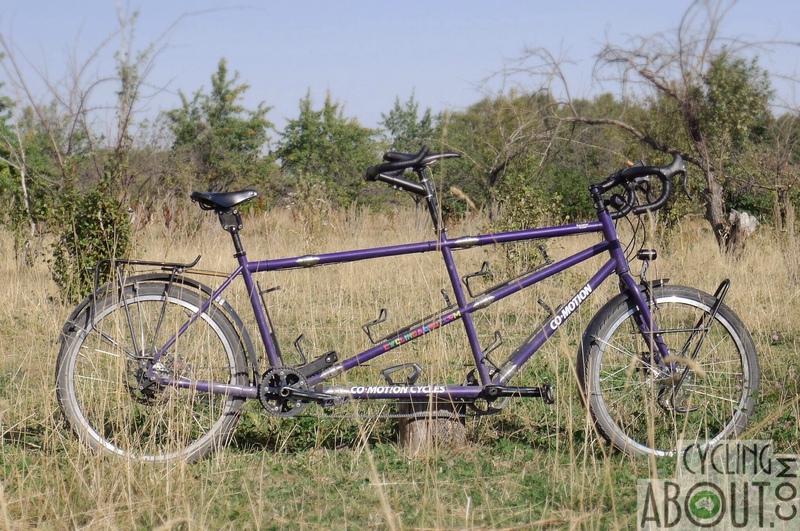 It is our guess that they have built more custom tandem frames than any other. 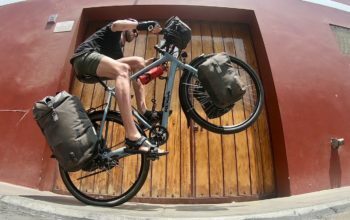 Co-Motion build frames to suit the parts we like for long distance touring: Rohloff hubs, disc brakes and Gates Carbon Belt Drive. They can insert S&S frame couplers at an additional cost, which break our tandem into three parts, making the bike easy to fly with. Our frame geometry is designed around our specific body lengths and desired riding style – when we ride our tandem it really feels the case. We honestly don't think there is a better tandem frame for touring than our Co-Motion. 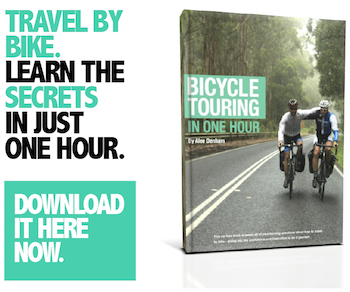 – Arguably the best touring tandem frame/fork on the market. – The frame construction work is impeccable. – The frame is incredibly stiff (laterally) by any standard – with a very heavy front load we experience no speed wobble or twisting, even at high speeds on rough roads. 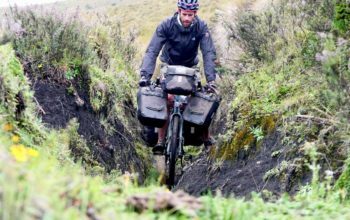 We have been testing every tandem that we come across on the road, and it's safe to say nothing comes close. – Co-Motion have been building tandems for 25 years and have always been at the forefront of tandem design and innovation. 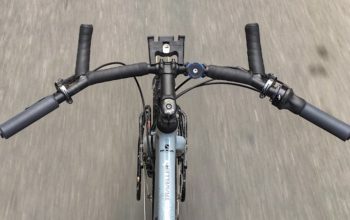 – Most of the frame is made in-house, including the dropouts and eccentric bottom brackets, giving Co-Motion more control over the quality of their product. – The frame is compatible with all of our favourite parts including our Rohloff hub and Gates Carbon Belt Drive. – The frameset price is not cheap ($3000 USD + $450 USD for custom geometry if required). – If you want to break your frame into three pieces, S&S couplers will cost you approximately an arm and a leg ($2000 USD for six). 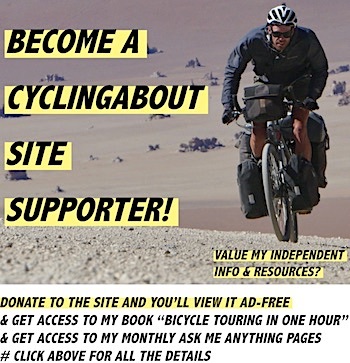 – The Co-Motion seatpost collars don't have the firmest grasp on the seatpost. 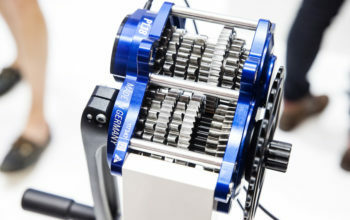 – The eccentric bottom brackets can be noisy (creaky) and the bolts are hard to access, although these are problems with most EBBs, not just Co-Motions! 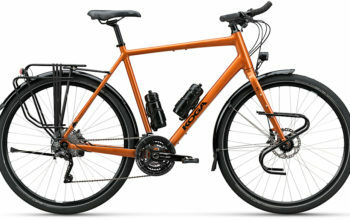 Frame and Fork: From $3000 to $5500 USD. 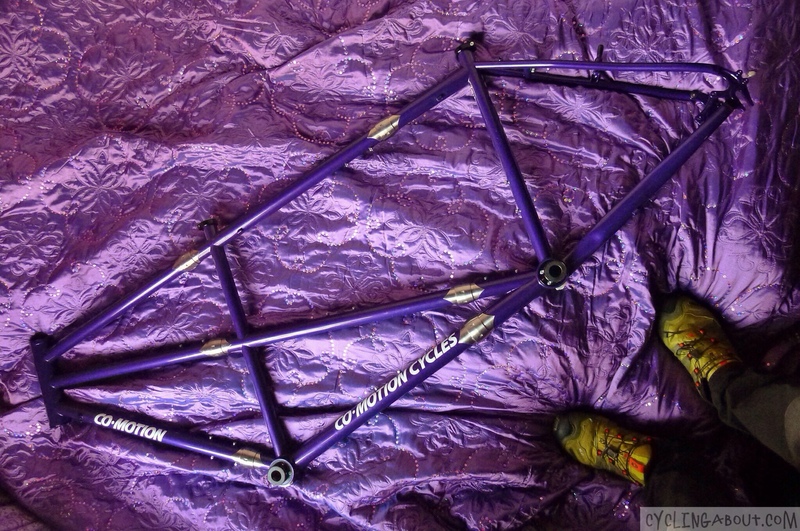 Price is dependent on whether you want an off the shelf frame, or a fully customised frame with fancy paint and S&S couplers.